“For we have not an high priest which cannot be touched with the feeling of our infirmities; but was in all points tempted like as we are, yet without sin, let us therefore come boldly unto the throne of grace, that we may obtain mercy, and find grace to help in time of need” (Hebrews 4:15-16). I take great comfort in knowing that my Savior understands my feelings. 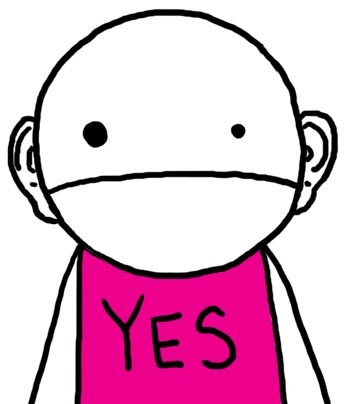 He relates to all I am experiencing. He truly understands every feeling and never condemns me for suffering attacks from the enemy. Instead, he tells me to hold on, and not to be afraid. He lets me know he too is familiar with this kind of struggle. Then he offers me a gracious audience at his throne, with a promise of mercy and grace in my hour of need. Whether my negative feelings have been a result of a physical or spiritual battle, our Lord offers comfort and help when most needed. What does our Lord mean by this? He is encouraging all his dear children to quit fretting when under the influence of negative thoughts. No more accusing yourself of failure and wickedness. Despair and fear can be caused by sin—but not always. So don’t just lie down and take it! Don’t go to bed at night until you shut yourself in with him, approach his throne boldly, and claim the mercy and help he has so clearly promised. Claim mercy, forgiveness, and grace to expel all negative feelings. That is Christ’s formula, not mine. Having claimed victory, having used the authority of his name, having come to him with faith to lay hold of forgiveness and the promises, ride out your storm in a state of rest! Let God dissipate the negative feelings at his own pace. “…after he had patiently endured, he obtained the promise” (Hebrews 6:15). “…weeping may endure for a night, but joy cometh in the morning” (Psalm 30:5). “For in that he himself hath suffered being tempted, he is able to help them that are tempted” (Hebrews 2:18). I first heard this story when my husband and I were stationed in Korea in the mid-80’s. As I was preparing this portion of Scripture for the blog, imagine my surprise to read that very story in the book The Better Covenant by Milton Agnew. “Grace to help us in our time of need,” indeed! 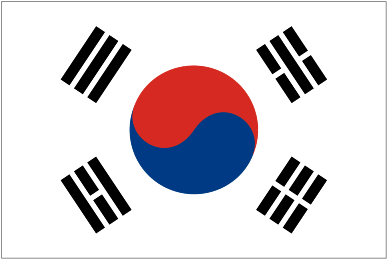 Dr. Ted Gabrielsen was appointed to the small Salvation Army Hospital in Yong Dong, Korea. Only of shell of the building had survived the North Korean occupation. While various nurses and interns had tried to keep some medical work going, it had been without a Salvationist doctor for nine years. Everything steal-able had been stolen, and the rest had rusted through. Ted had great difficulty in impressing upon the Korean nurses the danger of handling penicillin carelessly. The drug had never been used here before. It is a very effective germicide, but if the common staphylococcus germ is exposed to it in less than lethal doses, the germ becomes increasingly resistant to the drug at every doubling of its numbers, which takes place every few minutes by cell division. Thus, within a few hours, it becomes a veritable dinosaur, which cannot be killed by thousands of units. 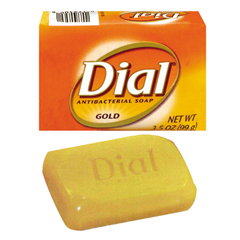 It is vital, therefore, not only that penicillin be used in adequate amounts to kill infection, but just as vital that every trace of it be cleaned up afterwards. A New York State hospital had to be closed down because the “golden bug” had gotten loose, and had killed every baby in the nursery. The germs looks golden in color under the microscope. 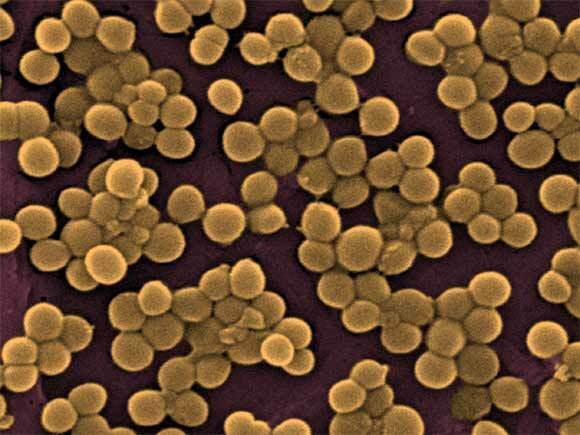 This scanning electron micrograph of Staphylococcus aureus bacteria shows them at about 9,500 times their normal size. Little wonder that a terrible staph infection broke out in the Yong Dong hospital. Before it could be identified, everyone in the hospital—patients and nurses—had it, including the doctor. They lathered up the whole case and made poultices for the infections and scrubbed down everything that could have been contaminated. There were no deaths, and Ted did not lose his finger. They had prayed as they scrubbed, and wondered all the while where the soap had come from. He took time to note the name and address. That’s all there was to it. Months later the case arrived at the very moment of need. Had it come a few weeks earlier, it would have been dissipated on ordinary chores. Had it been 24 hours hours later, it would have been too late. God’s timing is always perfect. There is thrilling comfort to Hebrews 4:16: Let us then fearlessly … Draw near to the throne of grace … That we may receive mercy /for our failures/ and find grace to help in good time for every need — appropriate help and well-timed help, coming just when we need it (Amplified). 1Every high priest is selected from among men and is appointed to represent them in matters related to God, to offer gifts and sacrifices for sins. 2He is able to deal gently with those who are ignorant and are going astray, since he himself is subject to weakness. 3This is why he has to offer sacrifices for his own sins, as well as for the sins of the people. 4No one takes this honor upon himself; he must be called by God, just as Aaron was. To lead them unto life and rest. Poor priest ! thus am I drest. Come, people ; Aaron’s drest. 7During the days of Jesus’ life on earth, he offered up prayers and petitions with loud cries and tears to the one who could save him from death, and he was heard because of his reverent submission. 8Although he was a son, he learned obedience from what he suffered 9and, once made perfect, he became the source of eternal salvation for all who obey him 10and was designated by God to be high priest in the order of Melchizedek. 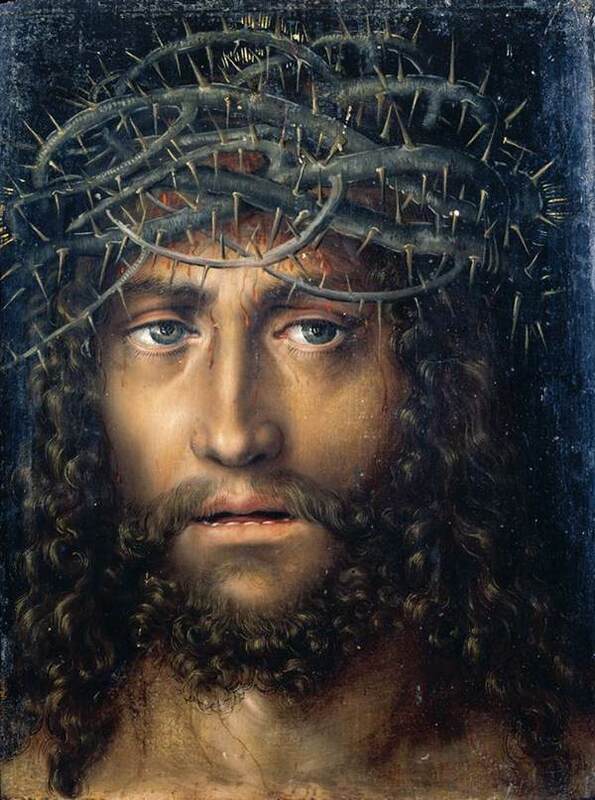 “Head of Christ Crowned with Thorns” by Lucas Cranach the Elder, c. 1510. We are told that the Captain of our salvation was made perfect through suffering, therefore we who are sinful, and who are far from being perfect, must not wonder if we are called to pass through suffering too. Shall the head be crowned with thorns, and shall the other members of the body be rocked upon the dainty lap of ease? Must Christ pass through seas of His own blood to win the crown, and are we to walk to heaven dryshod in silver slippers? No, our Master’s experience teaches us that suffering is necessary, and the true-born child of God must not, would not, escape it if he might. For all the promises of God find their Yes in Christ. 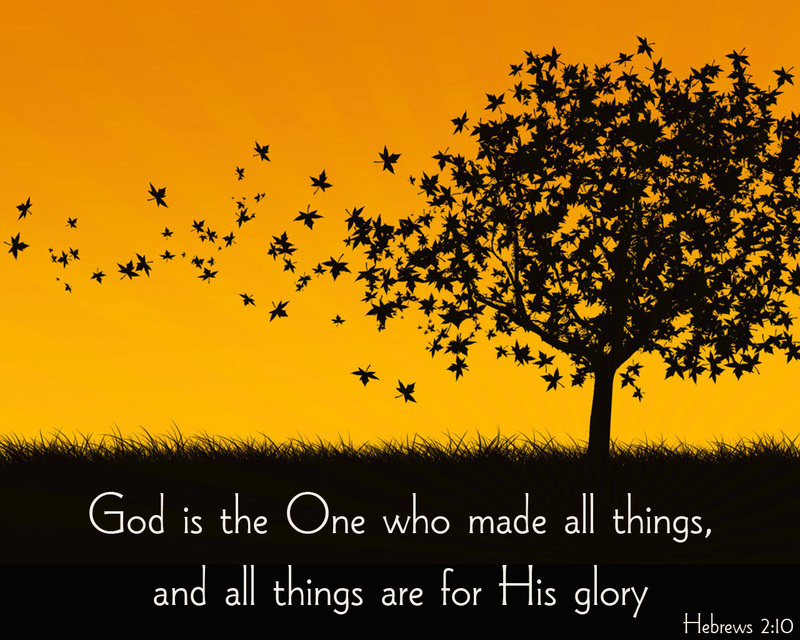 That is why it is through him that we utter our Amen to God for his glory. 8For if Joshua had given them rest, God would not have spoken later about another day. 9There remains, then, a Sabbath-rest for the people of God; 10for anyone who enters God’s rest also rests from his own work, just as God did from his. 11Let us, therefore, make every effort to enter that rest, so that no one will fall by following their example of disobedience. Matthew 11:28 — Come unto Me, all ye that labor and are heavy laden, and I will give you rest. Hebrews 4:10-11 — For he that is entered into his rest, he also hath ceased from his own works . . . . Let us labor therefore to enter into that rest. 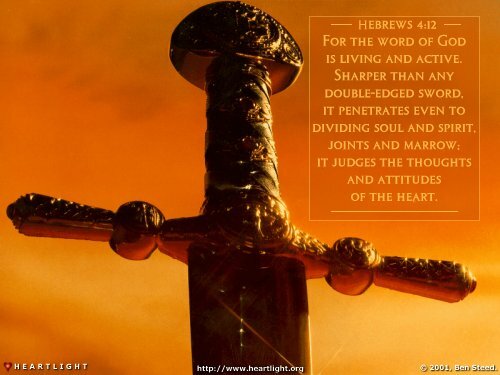 Labor in Hebrews 4:11 means “make haste.” Is the word used to remind us that we shall not drift into rest? There must be the will to enter in. Perhaps what demands most will power is the resolution to cease from our own works, our own busyness, and to stay our minds upon our God. We pray, and the answer is not what we expect. It seems an answer of loss, and sometimes loss upon loss. 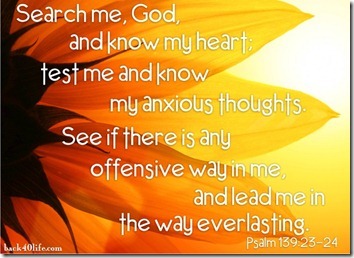 We must cease from our own thoughts about it and believe that what He has allowed is the perfect answer for the moment. 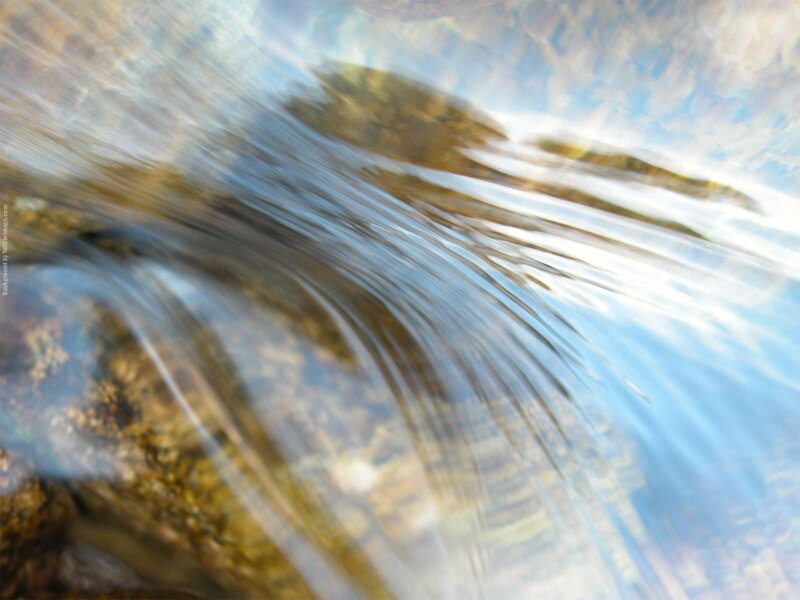 As we believe, and accept, we enter into rest and the sense of strain passes into peace. This covers all life: the illness of those we love, mental or spiritual suffering, the unexplained, everything. Let us not lose one hour in needless ineffective distress. Let us hasten by an act of the will to come to Him for rest. 12For the word of God is living and active. 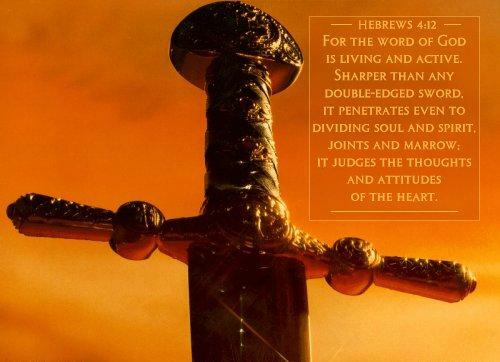 Sharper than any double-edged sword, it penetrates even to dividing soul and spirit, joints and marrow; it judges the thoughts and attitudes of the heart. 13Nothing in all creation is hidden from God’s sight. 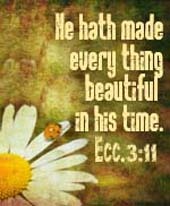 Everything is uncovered and laid bare before the eyes of him to whom we must give account. Christian believers make a great mistake when they refer only to the Bible as the Word of God. True, the inspired Bible is the Word of God speaking to our hearts and to our souls. But in referring to the Word of God, we do not mean just the book—printed pages sewn together with nylon thread. Rather, we mean the eternal expression of the mind of God. We mean the world-filling breath of God! God’s Word and God’s revelation are much more than just the Old and New Testament books. Nevertheless I invariably rejoice as I discover deep in the urgent appeal of one of the Old Testament prophets a sudden recognition of God’s speaking Word. For example, notice this message from the prophet Jeremiah: “O land, land, land, hear the word of the Lord!” (Jeremiah 22:29). Think what a change it would make in the world if men and women suddenly paused to hear the Word of the Lord! 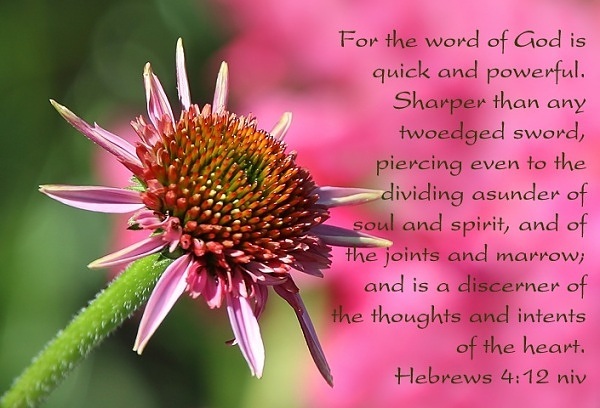 The Word of God being what it is, and God being who He is, and we humans being who we are, I am sure that the most rewarding thing we could do would be to stop and listen to the Word of God. Whether a man or a woman believes it or not, the Word of God is one of the greatest realities he or she will face in a life-time. He or she may deny the Word and the presence of God, dismissing them both as unreal. But the living, speaking Word of God cannot be escaped. Neither is it negotiable. The true Christian church has always held that position. There is not a man or woman on the face of the earth but will have to reckon with the authority of the Word of God, either now or later. How surprised some of them will be on that coming day of judgment when God’s eternal Word must be answered to! God’s Word is the revelation of divine truth that God Himself has given to us. It has come in the message and appeal of the sacred Scriptures. It comes in the conviction visited on us by the Holy Spirit. It comes in the person of Jesus Christ, God’s Son, the living Word of God. One of my favorite of the contemporary Christian worship songs– HERE is Matt Redman’s “10,000 Reasons (Bless the Lord).” With this song, and with the hope of an eternal rest in Jesus as given in the pages of God’s holy Word, I wish you all a Happy Thanksgiving! When we consider the past faithfulness of Jesus, it makes us understand that He will continue to be faithful. 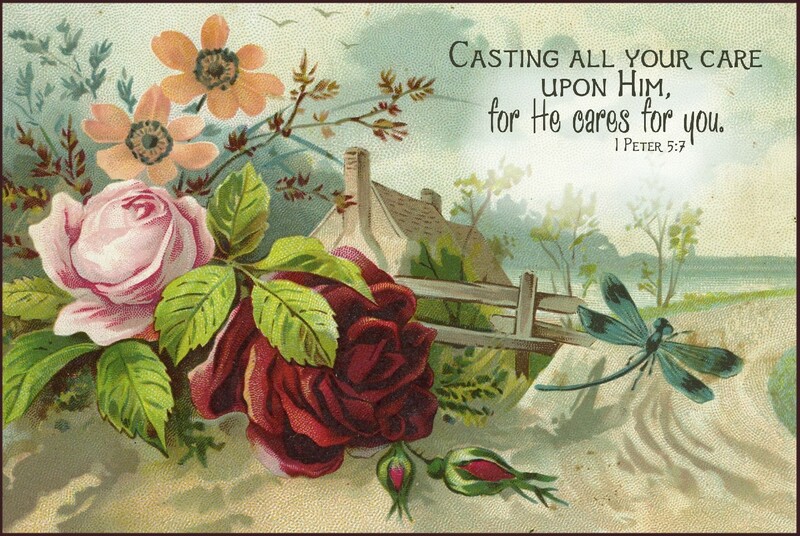 And as He was faithful to God the Father (Him who appointed Him), so He will be faithful to us. This should bless and encourage us! just as Moses was faithful in all God’s house. 3Jesus has been found worthy of greater honor than Moses, just as the builder of a house has greater honor than the house itself. 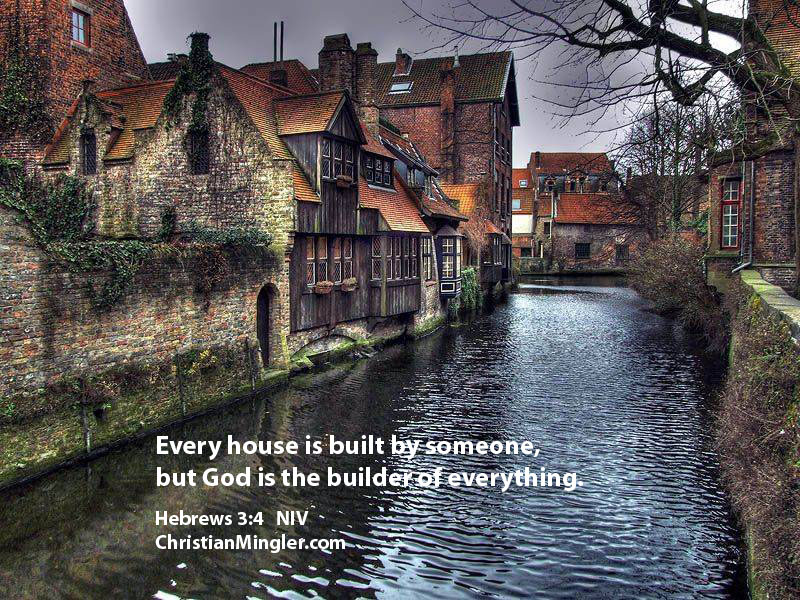 4For every house is built by someone, but God is the builder of everything. 5Moses was faithful as a servant in all God’s house, testifying to what would be said in the future. 6But Christ is faithful as a son over God’s house. And we are his house, if we hold on to our courage and the hope of which we boast. 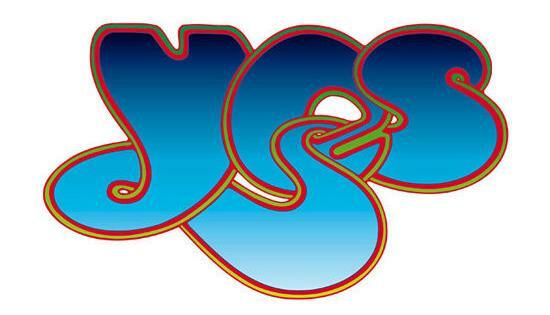 and for forty years saw what I did. 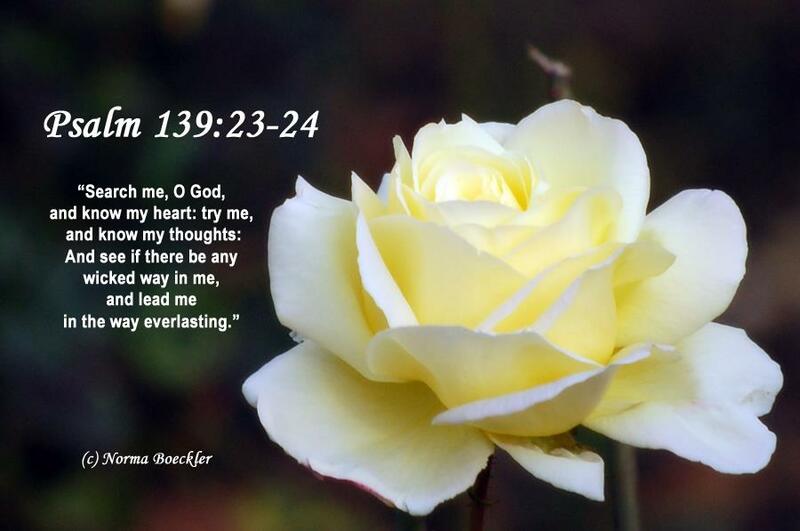 12See to it, brothers, that none of you has a sinful, unbelieving heart that turns away from the living God. 13But encourage one another daily, as long as it is called Today, so that none of you may be hardened by sin’s deceitfulness. 16Who were they who heard and rebelled? Were they not all those Moses led out of Egypt? 17And with whom was he angry for forty years? Was it not with those who sinned, whose bodies fell in the desert? 18And to whom did God swear that they would never enter his rest if not to those who disobeyed? 19So we see that they were not able to enter, because of their unbelief. I don’t want you to forget, dear brothers and sisters, about our ancestors in the wilderness long ago. All of them were guided by a cloud that moved ahead of them, and all of them walked through the sea on dry ground. In the cloud and in the sea, all of them were baptized as followers of Moses. All of them ate the same spiritual food, and all of them drank the same spiritual water. For they drank from the spiritual rock that traveled with them, and that rock was Christ. Yet God was not pleased with most of them, and their bodies were scattered in the wilderness. These things happened as a warning to us, so that we would not crave evil things as they did, or worship idols as some of them did. As the Scriptures say, “The people celebrated with feasting and drinking, and they indulged in pagan revelry.” And we must not engage in sexual immorality as some of them did, causing 23,000 of them to die in one day. Nor should we put Christ to the test, as some of them did and then died from snakebites. And don’t grumble as some of them did, and then were destroyed by the angel of death. These things happened to them as examples for us. They were written down to warn us who live at the end of the age. It is sobering to think that those who were so highly privileged to be the recipients of God’s grace and power of deliverance could fall so easily into unbelief and disobedience. This is precisely the point the author of Hebrews wants his readers to see. What happened then can happen again; indeed, the original readers apparently were in very real danger of falling away from their Christian commitment. 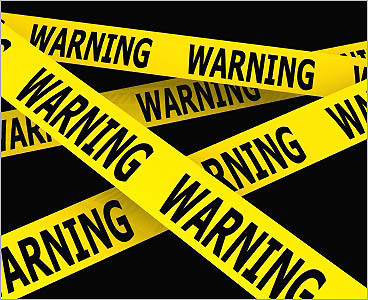 But this danger is one that every generation of Christians needs to ponder. Though our salvation derives from grace and is therefore free and unmerited, we dare not take it lightly. We are called to perseverance and faithfulness. Here is another way to say the same message! HERE Tamara Lowe and her one minute sermon. Listen fast! Therefore: Because of the superiority of Jesus to the angels, we must give heed to Jesus. 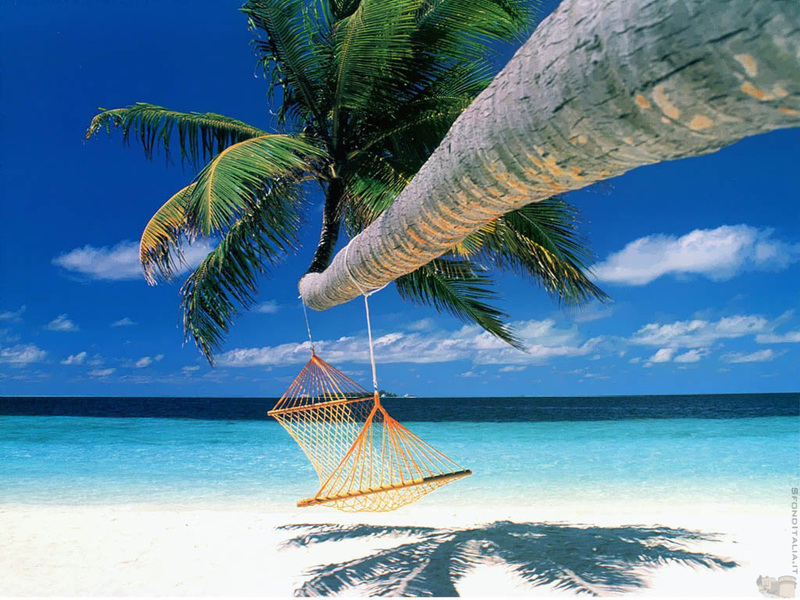 1We must pay more careful attention, therefore, to what we have heard, so that we do not drift away. 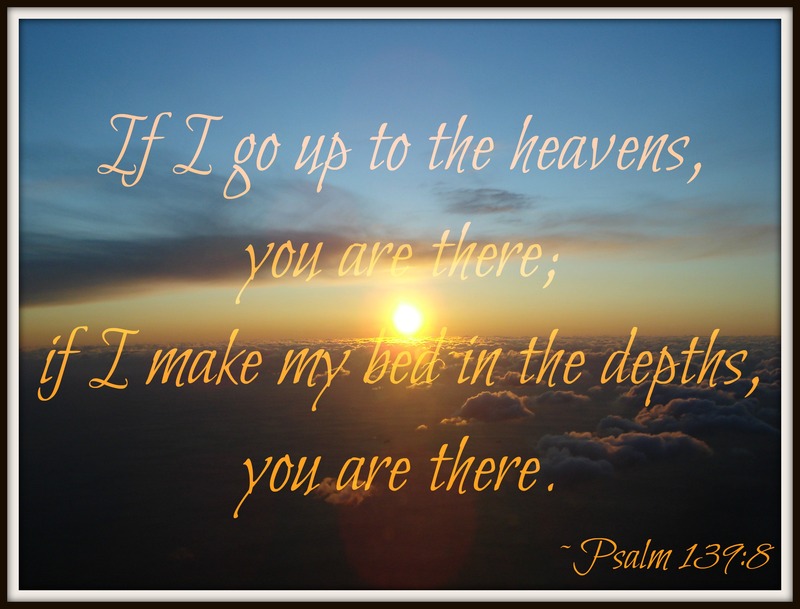 We do not drift towards God, we drift away from Him. We do not drift towards holiness, but selfishness. We do not drift towards passion, but apathy. We do not drift towards humility, but pride. We do not drift towards righteousness, but sinfulness. This is why we are warned, pay MORE attention to what you have heard or you WILL drift away. Take notice of the word, “more.” Sometimes this closeness to Christ comes easily, but sometimes we must direct ourselves to pay more attention to it. 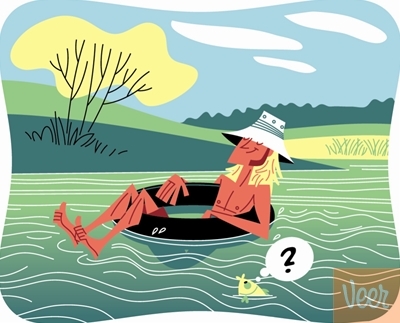 How do we practically pay more attention to what we have heard? Look at it, study it, read it, listen to it, memorize it, apply it, obey it, teach it, write it, hold it, speak it, more often and longer! 2For if the message spoken by angels was binding, and every violation and disobedience received its just punishment, 3how shall we escape if we ignore such a great salvation? This salvation, which was first announced by the Lord, was confirmed to us by those who heard him. 4God also testified to it by signs, wonders and various miracles, and gifts of the Holy Spirit distributed according to his will. In verses 5-9, the writer to the Hebrews shows us three things. (i) He shows us the ideal of what man should be—kin to God and master of the universe. (ii) He shows us the actual state of man—the frustration instead of the mastery, the failure instead of the glory. Man who was made for kingship has become a slave. (iii) And then he shows us how the actual can be changed into the ideal. That change is wrought by Christ. 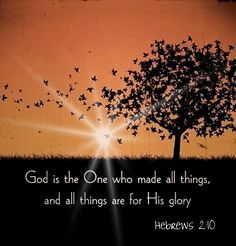 The writer to the Hebrews sees in Jesus Christ the One, who, by His sufferings and His glory, can make man what man was meant to be, and, without Him, could never be. 14Since the children have flesh and blood, he too shared in their humanity so that by his death he might destroy him who holds the power of death—that is, the devil— 15and free those who all their lives were held in slavery by their fear of death. 16For surely it is not angels he helps, but Abraham’s descendants. 17For this reason he had to be made like his brothers in every way, in order that he might become a merciful and faithful high priest in service to God, and that he might make atonement for the sins of the people. The High Priest wore a breastplate that had stones, engraved with the names of the tribes of Israel, on both his chest and his shoulders. The High Priest would therefore be in constant sympathy with the people of God, carrying them on his heart and in his work (on the shoulders). Jesus did not wear the High Priest’s breastplate; but the wound in His chest and the cross on His shoulders are even more eloquent testimony to His heart for us and work on our behalf. 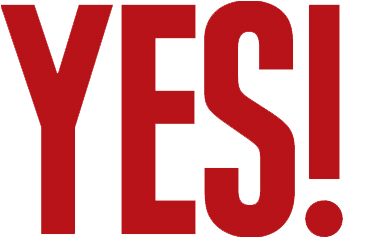 Christ says “Yes” to all of God’s promises. That’s why we have Christ to say “Amen” for us to the glory of God. 18Because he himself suffered when he was tempted, he is able to help those who are being tempted. For in that He Himself has suffered, being tempted, He is able to aid those who are tempted. You will never face a temptation so strong that God has not made complete provision for you to overcome it. God, out of His love, has done everything necessary for you to be victorious whenever you face temptation. He has clearly revealed His will to you in Scripture so that you will not be confused about the right thing to do. He has placed the Holy Spirit within you to guide you in your decisions and to convict you when you make harmful choices. With every temptation God also provides a way of escape so that you never have to yield to it (1 Corinthians 10:13). Everything is in place for you to experience victory over every temptation. God in His infinite love, however, has done even more to safeguard you from temptation. He has allowed Himself to suffer the full brunt of temptation. The very Son of God humbled Himself, taking on all the limitations of frail human flesh, and was tempted in every way that we are. Jesus knew what it was like to grow tired, to be hungry, to experience the same limitations we have; yet He was without sin. It is to this One that we turn when we are facing temptation. Ours is not an unsympathetic God who is unconcerned with our struggle to live righteously, but rather we follow a God who knows how difficult it is to resist sin and withstand temptation. We can approach Christ with confidence, knowing that He understands our plight. He knows how to aid us when we are tempted. The old hymn, the encouraging hymn, “Lead Me to Calvary” — HERE sung here by Andrew and Saskia Smith. Hebrews is basically a book that exhorts discouraged Christians to continue on strong with Jesus in light of the complete superiority of who He is and what He has done for us. The revelation given through the prophets was brought in various ways — sometimes through parables, historical narrative, prophetic confrontation, dramatic presentation, psalms, proverbs, and the like. 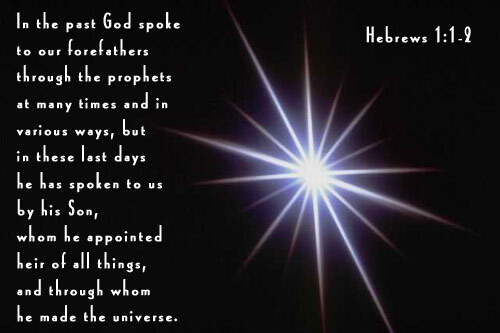 2but in these last days he has spoken to us by his Son, whom he appointed heir of all things, and through whom he made the universe. 3The Son is the radiance of God’s glory and the exact representation of his being, sustaining all things by his powerful word. 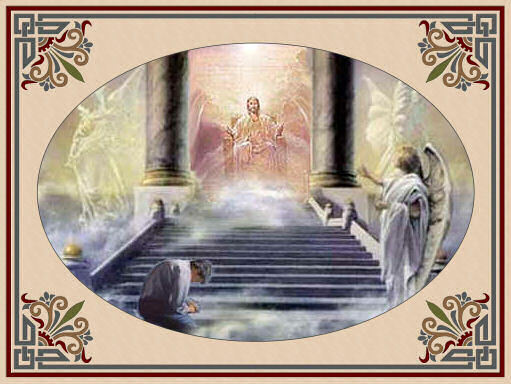 After he had provided purification for sins, he sat down at the right hand of the Majesty in heaven. 4So he became as much superior to the angels as the name he has inherited is superior to theirs. today I have become your Father”? and he will be my Son”? and righteousness will be the scepter of your kingdom. a footstool for your feet”? 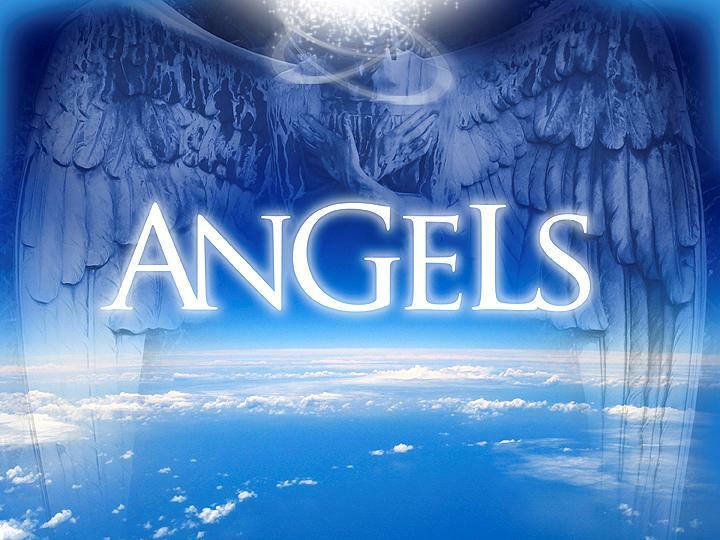 14Are not all angels ministering spirits sent to serve those who will inherit salvation? The Son of God’s ascendancy over angels has thus been asserted and confirmed by the testimony of Old Testament scriptures. In them Jesus was addressed by God in terms that surpassed the honors enjoyed by the mightiest of archangels, who indeed are called upon to pay Him homage in recognition of His sovereignty over them. 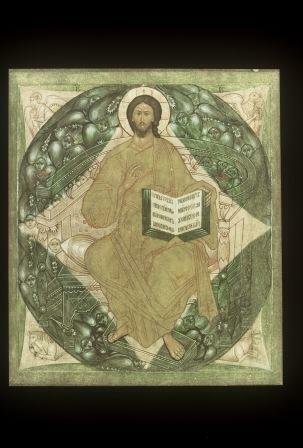 And the authority of the gospel which the readers of this epistle had embraced was the authority of Jesus, the Son of God, supremely exalted by His Father. As God had no greater messenger than his Son, He had no further message beyond the gospel. Michael W. Smith sings “Open the Eyes of My Heart.” I like the line — “To see you high and lifted up!” Jesus, as we begin reading Hebrews today, I pray that you will open our eyes to see you. There is nothing He does not know. There is nowhere He is not present. Who are those who would stand against such a God? HERE is “Search me, O God!” by Christ Our Life. New International Version (NIV) Holy Bible, New International Version®, NIV® Copyright © 1973, 1978, 1984, 2011 by Biblica, Inc.® Used by permission. All rights reserved worldwide. 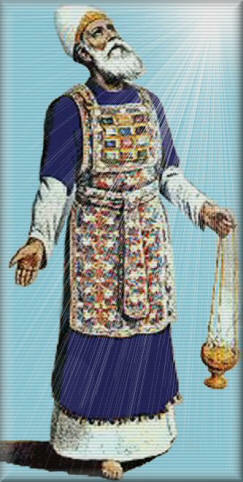 The Lord spoke to Moses: 2On the first day of the first month you shall set up the tabernacle of the tent of meeting. 3You shall put in it the ark of the covenant, and you shall screen the ark with the curtain. 4You shall bring in the table, and arrange its setting; and you shall bring in the lampstand, and set up its lamps. 5You shall put the golden altar for incense before the ark of the covenant, and set up the screen for the entrance of the tabernacle. 6You shall set the altar of burnt offering before the entrance of the tabernacle of the tent of meeting, 7and place the basin between the tent of meeting and the altar, and put water in it. 8You shall set up the court all around, and hang up the screen for the gate of the court. 9Then you shall take the anointing oil, and anoint the tabernacle and all that is in it, and consecrate it and all its furniture, so that it shall become holy. 10You shall also anoint the altar of burnt offering and all its utensils, and consecrate the altar, so that the altar shall be most holy. 11You shall also anoint the basin with its stand, and consecrate it. 12Then you shall bring Aaron and his sons to the entrance of the tent of meeting, and shall wash them with water, 13and put on Aaron the sacred vestments, and you shall anoint him and consecrate him, so that he may serve me as priest. 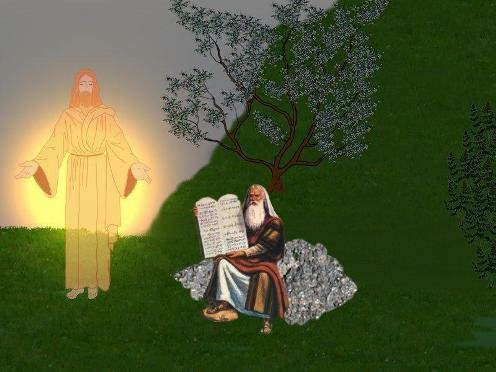 14You shall bring his sons also and put tunics on them, 15and anoint them, as you anointed their father, that they may serve me as priests: and their anointing shall admit them to a perpetual priesthood throughout all generations to come.16Moses did everything just as the Lord had commanded him. 17In the first month in the second year, on the first day of the month, the tabernacle was set up.
. . . one year after the children of Israel left Egypt. 18Moses set up the tabernacle; he laid its bases, and set up its frames, and put in its poles, and raised up its pillars; 19and he spread the tent over the tabernacle, and put the covering of the tent over it; as the Lord had commanded Moses. 20He took the covenant and put it into the ark, and put the poles on the ark, and set the mercy seat above the ark; 21and he brought the ark into the tabernacle, and set up the curtain for screening, and screened the ark of the covenant; as the Lord had commanded Moses. 22He put the table in the tent of meeting, on the north side of the tabernacle, outside the curtain, 23and set the bread in order on it before the Lord; as the Lord had commanded Moses. 24He put the lampstand in the tent of meeting, opposite the table on the south side of the tabernacle, 25and set up the lamps before the Lord; as the Lord had commanded Moses. 26He put the golden altar in the tent of meeting before the curtain, 27and offered fragrant incense on it; as the Lord had commanded Moses. 28He also put in place the screen for the entrance of the tabernacle. 29He set the altar of burnt offering at the entrance of the tabernacle of the tent of meeting, and offered on it the burnt offering and the grain offering as the Lord had commanded Moses. 30He set the basin between the tent of meeting and the altar, and put water in it for washing, 31with which Moses and Aaron and his sons washed their hands and their feet. 32When they went into the tent of meeting, and when they approached the altar, they washed; as the Lord had commanded Moses. 33He set up the court around the tabernacle and the altar, and put up the screen at the gate of the court. So Moses finished the work. God is the one who began this good work in you, and I am certain that he won’t stop before it is complete on the day that Christ Jesus returns. “This is the Lord’s doing, and it is marvelous in our eyes.” HERE is the wonderful Oslo Gospel Choir! 34Then the cloud covered the tent of meeting, and the glory of the Lord filled the tabernacle. 35Moses was not able to enter the tent of meeting because the cloud settled upon it, and the glory of the Lord filled the tabernacle. 36Whenever the cloud was taken up from the tabernacle, the Israelites would set out on each stage of their journey; 37but if the cloud was not taken up, then they did not set out until the day that it was taken up. 38For the cloud of the Lord was on the tabernacle by day, and fire was in the cloud by night, before the eyes of all the house of Israel at each stage of their journey. The book of Exodus is the history of God’s people during the year between their deliverance from Egypt and the erection of the tabernacle at Mount Sinai. It begins with groaning and ends in glory, with God at work throughout. What situation has you groaning, that you need to have end in deliverance and glory? God’s presence dwells gloriously in the work and walk of those who are willingly and diligently obedient, seeking the holiness of the Lord! 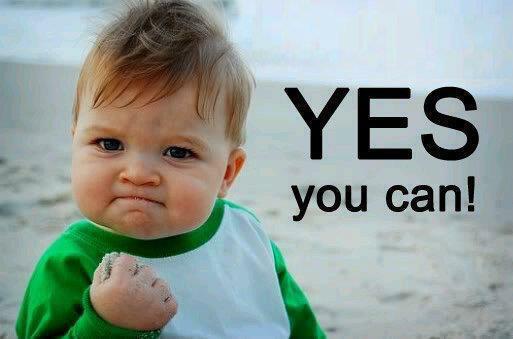 As God graciously did wonderfully for the Israelites, he will also do wonderfully for you, according to his purposes! You are currently browsing the DWELLING in the Word blog archives for November, 2013.